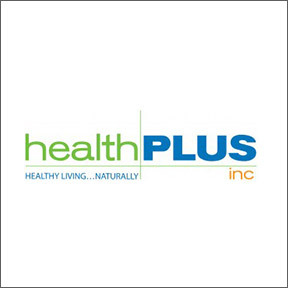 Since 1981, Health Plus has been committed to supplying quality targeted cleansing products to support a healthy lifestyle from the inside out. Their line of high quality, safe and innovative botanical formulations are specifically designed to cleanse the body and assist healthy functioning. Product integrity is upheld by a comprehensive quality assurance program centered on rigorous procurement standards and testing protocols. Along with every day colon and digestive cleansing formulations, Total Body Cleanses are available in seven major body functionalities, including: Kidney, Liver, Heart, Blood, Joint, Adrenal, and Prostate. Power Digest™: Designed for athletes and workout enthusiasts, this two-in-one formula provides key amino acids for overall muscle health, recovery and growth, as well as digestive enzymes, essential fibers, and cleansing herbs for efficient absorption of nutrients and enhanced digestive support. Key ingredients include acidophilus, a proprietary digestive enzyme blend, and taurine, L-glutamine, and L-carnitine for muscle recovery support. Probiotic Fiber™: This special formula provides herbs and nutrients that balance and nourish the intestinal microflora and promote digestive and immune health. One capsule supplies one billion CFU of a proprietary prebiotic blend, as well as prebiotics, digestive enzymes and herbs for digestive support. Super Kidney Cleanse™: This formula provides vitamins, herbs, the antioxidant astaxanthin, and anti-inflammatory turmeric to nourish and support a healthy urinary tract, maintenance of healthy kidney function, and overall kidney health. Super Adrenal Cleanse™: Formulated with specific vitamins, botanicals, antioxidants and adaptogens, this adrenal support formula is designed to help combat the effects of daily stresses, address fatigue, and support the proper functioning of the adrenal glands. Super Liver Cleanse™: Designed for whole body wellness, and support of natural liver function, protection, and detoxification, this B vitamin and botanical formulation helps to maintain liver function already within the normal range. Ingredients include milk thistle, turmeric, and astaxanthin. Super Colon Cleanse® Day: This proprietary blend of nine nourishing herbs, senna leaf and psyllium husk powders, and acidophilus, is designed to support the entire digestive process, aiding greater nutrient absorption, toxin elimination and healthy colon function. This entry was posted in Home and tagged Health Plus, Inc. – Featured Brand, Power Digest, Probiotic Fiber, Professional Supplement Center, Super Adrenal Cleanse, Super Colon Cleanse Day, Super Kidney Cleanse, Super Liver Cleanse, Vitamins and supplements, www.professionalsupplementcenter.com. Bookmark the permalink.